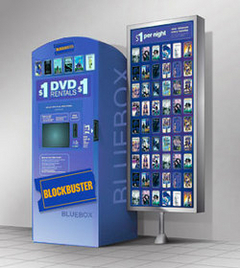 Blockbuster Express is making a change to their DVD rental program, which means you will have to try a little harder for free movies. Instead of releasing a bunch of multi-use codes for free $1 DVD rentals, they are now requiring you to send a text in order to receive a one-time use code. In order to receive your exclusive, one-time use codes, text any of keywords below to 39777. There are some positives to this though, the new codes that are sent to your phone are for $1 off ANY DVD rental (so you can get the $1 rental FREE or save $1 on new releases). Also, you have 10 days from the time you text the keyword to use your code, so you can space them out and not feel like you need to rent 5 movies at once. There is a max of 5 movies per credit card per day. The previous codes I’ve posted may or may not work up until their expiration date.